Leg stretching machines or, as they are often known, hamstring and groin stretching machines, are an exceptional way of increasing your flexibility. They are often used by martial artists looking to increase their flexibility and kicking height (Source). But many people with tight abductors and sciatic problems also make use of these unique pieces of exercise equipment. Some employ crank wheels to separate the extension arms like the Valor Fitness, The Martial Arts Store (TMAS) and the Tiger Deluxe stretching machines, while the Century VersaFlex uses a ratcheting arm and the E-Z Stretcher has a turning handle. The Martial Arts School (TMAS) Leg Stretcher is the first one demonstrated in the video above. Overall, our top pick is the TMAS Pro Leg Stretcher- it is a 35 pound leg stretching machine that arrives fully assembled and with a weight capacity of 235 pounds. It can go past 180°, and because you can take the wheel off you can actually stretch forward, providing an even more dynamic stretching experience. Additionally, the adjustable back can be fitted to five different positions, including completely flat. Initially, some users found that the turning action was a little bit stiff but over time it became smoother- providing longer and more satisfying stretches as it got more use. The Kinesiologist and Injury Specialist Rick Kaselj, MS. developed a special method to unlock your hip flexors called the Sequential Flow Method. It's part of his Unlock Your Hip Flexors exercise program. 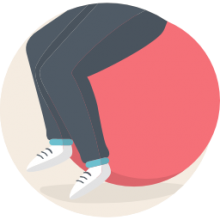 The program gives you a practical, easy-to-follow regimen you can use today for instantly releasing your hip flexors for more strength, better health and all day energy. He offers a 60-day money back guarantee so if it doesn't help your hip flexor tightness, you can always get a refund. This stretcher machine offered by Valor Fitness is practical, easy-to-use and an excellent choice for anyone interested in a good workout. Users love the comfortable design, but some do note that they had problems with the wheel crank. With a size of 76″ x76″ x18″, this stretching machine has a steering wheel mechanism, padded and adjustable leg support, a padded seat, and an adjustable back support. You can use this leg machine to stretch up to 180 degrees, and the recommended user weight is 250 lbs. Overall, it’s a useful stretching tool, but it has some performance issues. A buyer comments that she can now stretch up to 140 degrees with the help of the Valor leg stretcher, and it’s great for her Taekwondo training. The reviewer also states that she spends 20-30 minutes a day in the stretcher and she has no complaints – it’s sturdy, comfortable, and easy to assemble. Another customer mentions that the side pads fit comfortably against her knees and it helps her stretch in all the right spots. The user is also pleased with the quality of the material, but she notes that gears teeth wore out quickly. Some purchasers also note that the Valor machine for stretching arrived with loose bolts and they had to tighten them. Customers also complain that their stretching machine for legs broke after a couple of weeks. This stretching machine for legs offered by TMAS is well-built, convenient, and useful if you want to increase your split and stretch. Users love that this stretcher doesn’t need any assembly, but some do note that the package arrived damaged. The Pro leg stretcher has a sturdy construction, a gear system, an adjustable padded seat, padded footrest, a removable self-locking turning wheel, and a stop latch. The recommended user weight is 235 lbs, but you should be aware that you can’t use this leg stretcher on a carpet or a rug. In general, users have a favorable opinion of the TMAS pro leg stretcher, and they praise its functionality, but they note that the material is not of a high quality. A buyer mentions that even though he weighs around 220 lbs, he had no problems using the stretching machine and the seat neither broke nor squeaked. Another reviewer shares that this leg split machine is well-built, durable, and it has helped him to increase his split drastically. The buyer also states that the TMAS stretcher is so light that he can carry it up and down the stairs or he can just roll it around and store it a closet. A happy user states that he loves the smooth leg transition, and he would recommend it to anyone looking for the best martial art stretching machine. However, some customers have complained that there is not enough padding and that the plywood is too thin and breaks easily. If you are looking for a quick and efficient way to improve your stretch, you might take a look at this deluxe stretching machine for legs offered by GTMA Users love the sturdy, comfortable construction, but some do note that the padding is not enough. 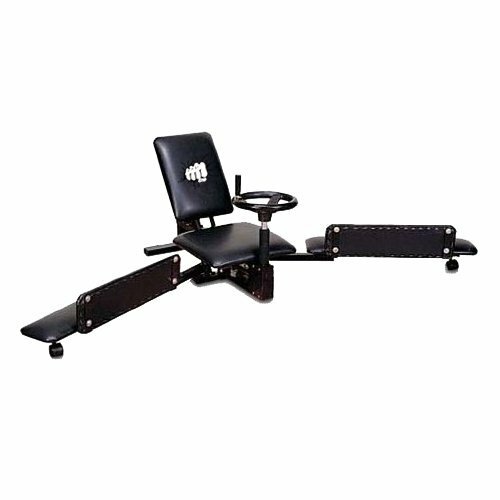 The GTMA tiger deluxe machine for leg stretching has a padded vinyl surface that is easy to clean, a detachable self-locking wheel, a handle that rotates back and forth, an adjustable back support, and a steel gear system. As a whole, it’s a stretcher of high quality, and it comes fully assembled. A user commented that this leg stretching machine arrived in perfect conditions – there were no tears in the vinyl, and all the bolts were tightened. The reviewer also says that the adjustable back seat is excellent for reducing hip strain, and he is extremely pleased with the results he achieved. Another buyer mentions that the tiger stretcher holds his 270 lbs with no problems and he uses it every day for 20 minutes. He would recommend it to anyone looking for a top-rated stretching machine. A happy purchaser mentions that you just have to put the crank wheel in place and you’re ready to go. However, the reviewer states that he would have preferred if there were a few extra inches of padding since his legs lay on the edge. A user also complains that his package arrived with a broken caster wheel. 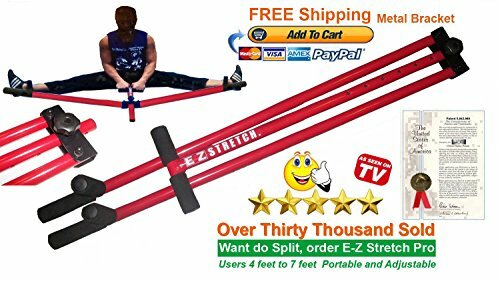 If you want a cheap, but effective leg stretcher to help you with your martial art training, you might consider this steel leg stretcher offered by E-Z. Users endorse the price and simple work mode. The E-Z stretcher is made of heavy-duty steel pipes, and it has a dynamic T-pull handle, a steel cast bracket, a powdered coating, high-density foam padding, and seven stretching level. As a whole, this is an inexpensive martial art stretcher of good quality. 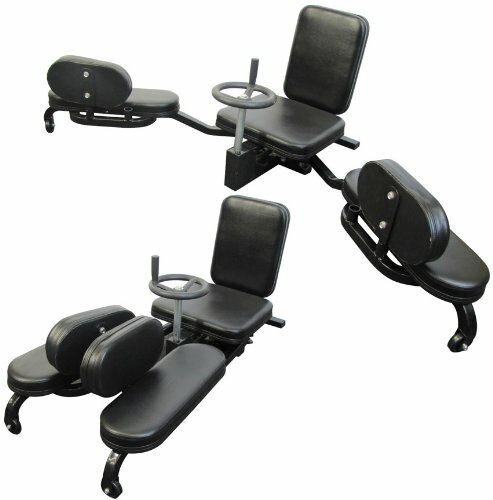 In general, users are extremely satisfied with the price, functionality, and performance of the E-Z leg split machine. One buyer commented that he was skeptical at first, but this stretcher for legs turned out to be sturdier and more comfortable than he expected. Another reviewer mentions that the steel leg stretcher is the perfect solution for his hip problems and that he has already managed to increase his stretch limits significantly. A happy purchaser shares that it’s a piece of cake to use the E-Z machine and that it’s doesn’t take much space so you could store it anywhere. He would recommend it to anyone who does martial arts or just wants a better flexibility. However, some customers have complained that this cheap leg stretching machine is heavier than they expected and that it could use some extra padding. 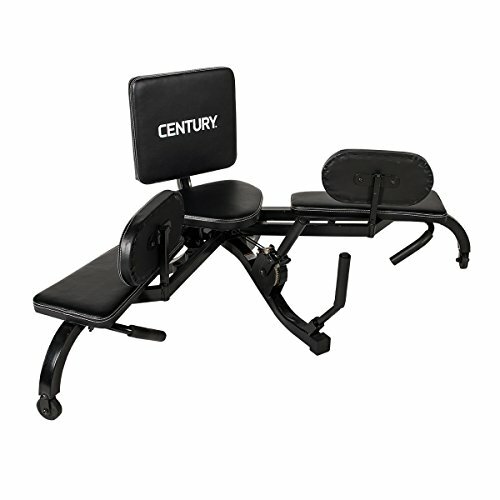 This stretching machine for legs offered by Century is well-constructed, efficient and useful for anyone who wants to achieve better flexibility. Users love the stretch indicator feature, but most do note that the assembly instructions are poorly written. With a size of 35 x 20 x 8 inches, this stretching machine for legs has a 4-position stretching arm, multi-position thigh pads, and a degree indicator so that you can check your progress. You can achieve a stretch up to 190 degrees with the help of the Versaflex leg stretcher, and even though users agree that this is an effective split stretching machine, it has several shortcomings. One buyer comments that he has been using the Century stretching machine for years, and he has achieved excellent results. Another happy user mentions that it’s a pleasure to use the Versaflex stretcher for legs and it has helped him do better in his karate training. A satisfied customer commented that he had doubts regarding the usefulness and reliability of this split stretcher, but after he started using it every day, his back pain lessens considerably. However, some customers have complained that the stretcher is not very comfortable for longer periods of time because there isn’t enough leg padding and that it isn’t suitable for very tall people. Some are also displeased with the five-degree increment. Users that we surveyed says that it is a solidly built machine that they are confident will provide decades of strenuous use. The TMAS (The Martial Arts Store) Pro Leg Stretcher is one of the better received leg stretching machines that we examined. Users like that it comes fully assembled and many opted to purchase it online as opposed to trying to find it in local retail stores. This 35 pound leg stretching machine can provide stretches beyond 180° with its adjustable padded seat, and gear system as well as self-locking turning wheel. In terms of assembly, all you need to do is take the steering wheel and place it on the bolt, and then turn it to the front sitting position and you are ready to begin stretching. Many users were initially concerned that the machine wouldn't support users over 200 pounds- but a variety of buyers that we interviewed say that the machine is solidly constructed and easily supports their weight. Many martial artists purchase these leg stretching machines because stability is so crucial in the lower extremities for things like karate, aikido and mixed martial arts. Another reviewer that we interviewed said that the leg holders are made out of solid-feeling plywood, and while the staples are visible, you can do a little home DIY and hide them with some fabric and spray glue if necessary. The seatback can be adjusted to five positions including a completely prone one. This allows for different stretching postures, so no matter your size you can adapt this leg stretching machine to provide you the stretch you require. Indeed, many users look for hamstring stretching machines as well as stretch machine for splints, and come across this particular model because of its stellar reputation amongst its reviewers. Indeed, users say that the actual action of the leg split stretching is very smooth- opening and closing your thighs is smooth and there are no herky-jerky stops during the action to make your legs feel uncomfortable. The Valor Fitness Leg stretching machine was another option that we surveyed buyers about- it is a 49 pound product that can accommodate users weighing up to 250 pounds, and arrives fully assembled. Users say that the increment works by ratchet function, so essentially you go by degree if you prefer, turning the wheel a little bit at a time. You can do 1/4 turns, or perhaps 1/16 turns to go a little bit farther. Other buyers say and recommend that you try holding the stretches for around 30 seconds. If you are interested in increasing your range you can try holding for the 30 seconds, relaxing a few degrees, and then increasing your range a little bit farther than your prior max hold. One reviewer that we interviewed said that while he was disappointed that the leg stretching machine was cheaply made, over time he got over that, and found that it still performed adequately for his purposes. As well, the included instructions didn't specify the bolts that needed to be tightened, and he had to figure it out on his own, which took some trial and error before he got it configured the correct way. Some other problems that he encountered- that while the leg pads eventually fit into the allotted holes, he still had some trouble after receiving a replacement unit with a bolt that he just couldn't tighten, and which made the whole unit feel wobbly and unstable while in use. 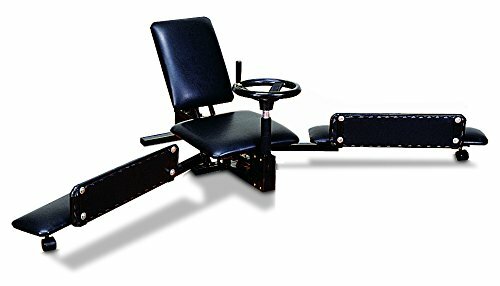 All of that said, once he began using this hamstring stretching machine, which he refers to as a groin stretching machine, he found that it was very comfortable and the wheel stretching mechanism was exceedingly smooth allowing for continuous motions as opposed to uncomfortable stops and starts. Another positive aspect of this groin stretching machine is that it is dynamic enough that you can maneuver to like pad down against your shin so that it isn't pressing on your knee. Relieving this pressure point and distributing it elsewhere prevents a painful buildup in the stretcher's knee. Overall this reviewer that we surveyed says that while it feels like a cheaply made machine, and still is a little bit wobbly after extended use, it does provide a comfortably smooth stretch without excessive knee pressure and is generally cheaper price than comparable models on the market. Another reviewer recommends the functionality of this Valor Fitness leg stretching machine, saying that initially his legs were unable to go past 90°, but after several weeks of stretching he is now passed 130°. Another option that we examined was the Century VersaFlex stretching machine- it includes a stretching arm that can turn to four different positions, provide stretches up to 190°, and includes a helpful degree indicator so you can keep track of your stretching progress. Users say that it is a solid device that is pretty easy to adjust and use, with the progress indicator providing an accurate way to track results over time. They also say that the back support, legs and seat are all comfortably padded. On the downside, some users thought that the 5° increments are too large when you are at the top end of your range. As well, other buyers that we interviewed say that the ratchet release can be a little tight, and difficult to activate when the legs are in a highly tensed and stretched position. Another downside is that the VersaFlex stretching machine does not come preassembled. That is inconvenient enough, but many reviewers that we interviewed said that the instructions are very poor- the pictures are unhelpful and not clear enough. As well, many buyers had difficulty with the included bolts, requiring them to identify which bolt goes where using a ruler because the instruction manual was blown up too large. One reviewer that we spoke to said that he thought the legs of the machine were too short for people who are over 6 feet tall. All of that said, it still does provide a powerful stretch- especially if you are a particularly inflexible individual with tight hip abductors for a novice or aging martial artist that needs to put in the work to keep nimble. As we have already noted our top pick is the TMAS Pro leg stretcher. If you are in the market for one of these hamstring stretching machines, do a little research beforehand, take some measurements of your home gym space, and read some reviews on individual product pages to get confident that the machine you're buying is the best selection for you.